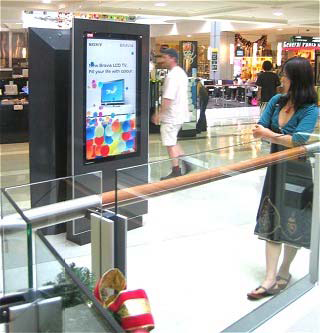 Digital signage is widely used by Out of Home advertisers to communicate with a mobile audience. It enables OOH companies to deliver timely and relevant advertising in an environmental friendly way that has revolutionized traditional advertising resulting in a decline of paper posters and static billboards. The digital screen engages its audience through dynamic content tailored according to time of day, location and other demographics. The ability to mix content on the run gives OOH companies the ability to display multiple campaigns across its network. Ideal environments for these networks include shopping malls, airports, bill boards, train stations and bus stations. Ryarc CampaignManager is used by OOH companies around the world for their networks. If you are planning to deploy an OOH network or need to upgrade your current solution, please get in touch with our Digital Signage Expert for a free consultation, Demo, Trial licenses and special price offers. DooH networks are primarily based on ad revenues so it is very important to have screens operational 100% of the time. Networks can grow quickly and a scalable solution is required to keep up with the roll out pace. Proof of Play is required to show clients that ads have played according to schedule.